Last Male Northern White Rhino Dies in Kenya! We lost our boy...our beautiful solitary boy. THIS is what happens with poaching. This is the ugly, hideous truth about poaching. Sudan was the LAST male northern white rhino left. He was guarded 24 hours a day to ensure his safety from bloodthirsty and greedy bastards who wanted him dead for his horn. Poachers have no soul, no remorse, no compassion...nothing but self-interest. This beautiful old boy is gone...and we are all responsible for his death and for the wiping out of majestic species all over the world. Please don't stand on the sidelines and watch this happen over and over...PLEASE DO SOMETHING...like supporting organizations on the ground who are fighting tirelessly to save these animals. Nsefu Wildlife is one of many great foundations who are putting their lives on the line to stop the massacre of rhinos, elephants, lions, giraffes and more. PLEASE do something...so we don't have to grieve at the horror of witnessing the last male of his species pass. I am gutted by his death and you should be as well. 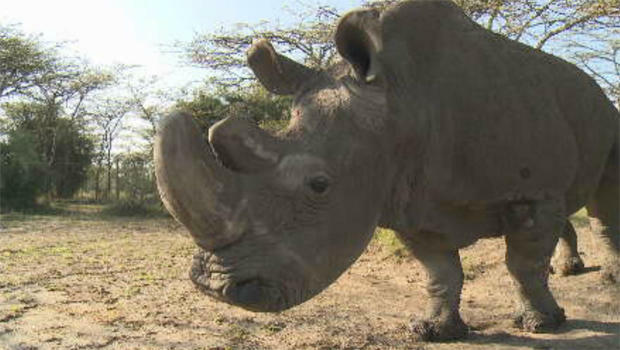 God rest your beautiful soul Sudan...and we won't stop fighting to protect animals on earth. Soar high angel...soar high! Newer PostRemembering Max Demian Wallace!